If you hear the name "Barris" , you'll likely picture the wild Hollywood customs built by George Barris – cars like the original Batmobile, and Drag-u-la from the Munsters TV show. 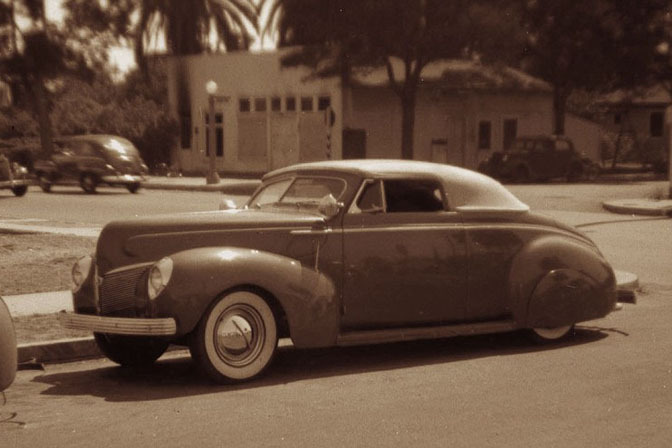 Although not as well known as his younger brother, Sam Barris made perhaps an even bigger contribution to the history of custom car building, pioneering the art of the chop top, among other things. 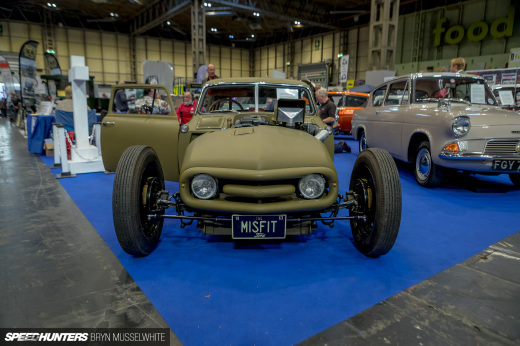 that turned out to be the first of many Barris customs. After the war the Barris brothers reunited and came up with the idea of opening a a shop in Los Angeles. 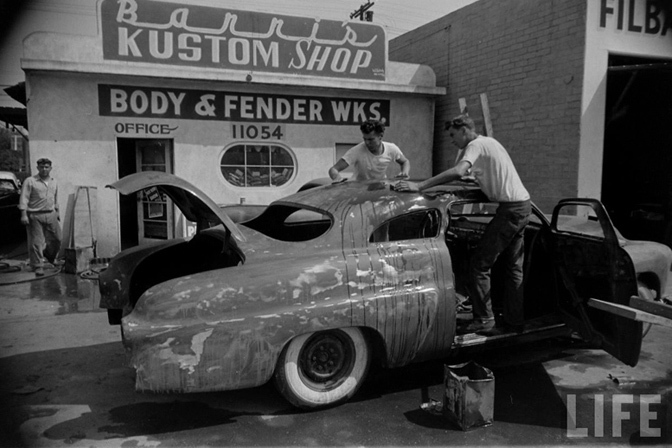 The Barris Kustom Shop was born. 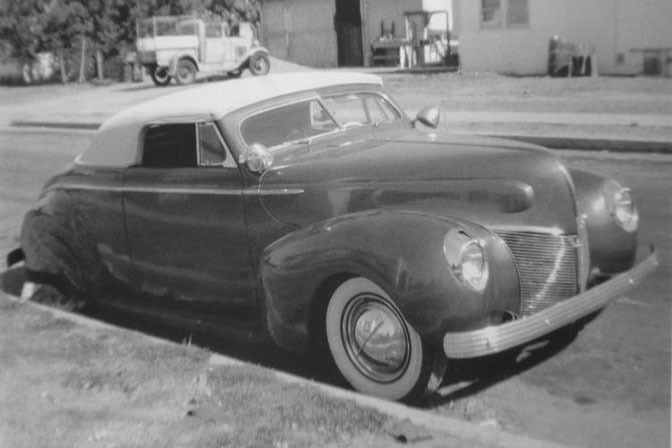 One of Sam's first personal projects was this 1940 Mercury that he built in the late '40s. 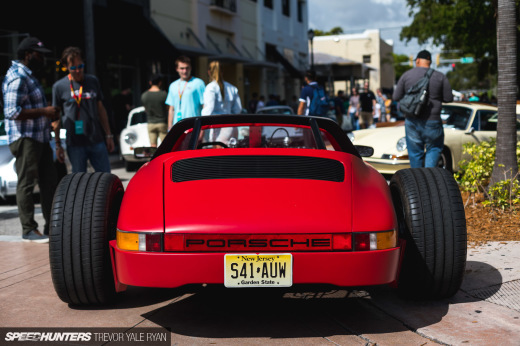 The car was shaved, chopped, and featured a removable Carson top. While by today's standards the car looks like a lot of traditional customs, you have to remember all this was done in the late 1940's. I imagine was quite a sight to see the car on the streets of Los Angeles back then, as Sam used it as a daily driver. 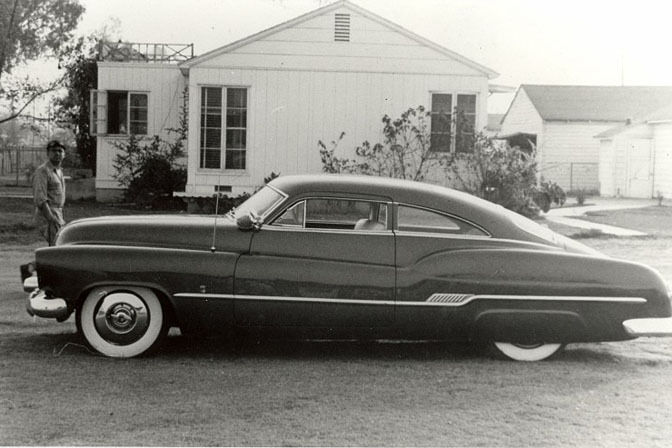 After selling the '40, Sam went and bought a brand new 1949 Mercury with the idea of making into a chopped custom. Chopping was a new thing at this time, so it took a lot of planning before the car was cut up. When completed, the car would be one of, if not the world's first chopped Merc. With four inches removed from the top, the seats had to be bolted to the floor in order to give enough head room. 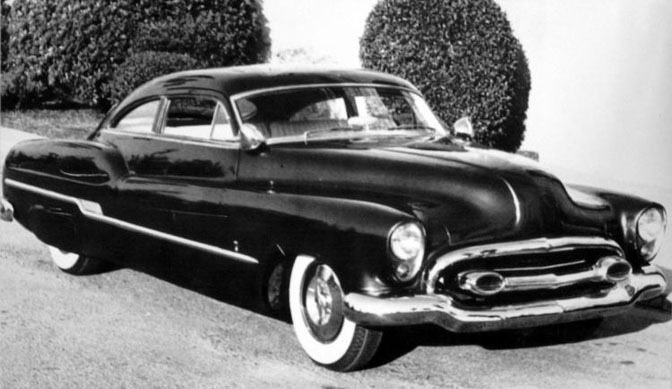 Besides the groundbreaking roof chop, the '49 also had fadeaway rear fenders, molded front fenders, a custom front grill, one-off taillights, and side trim from a '48 Buick. 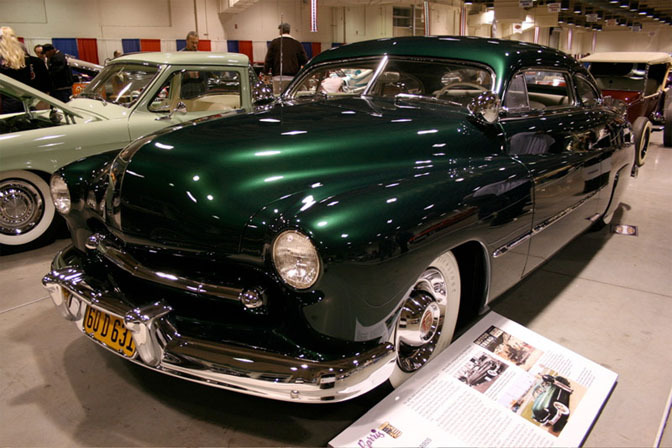 The car was coated in dark green, with a green and white interior. After exchanging owners a few times, the Merc would eventually be fully restored to its original condition. It's seen here at last year's Grand National Roadster Show in Pomona. 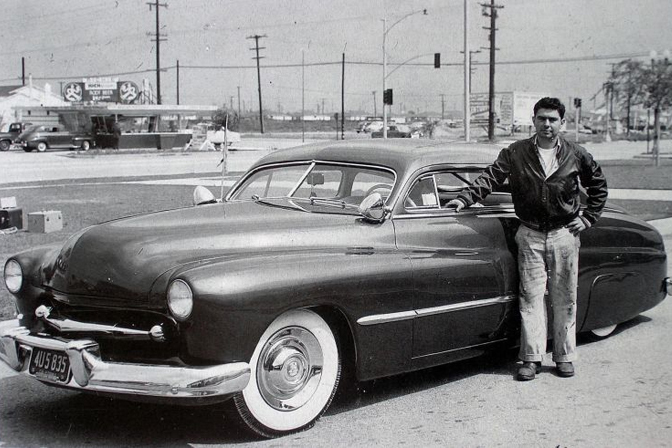 After seeing Sam's Mercury, Bob Hirohata was inspired to have a chopped Merc of his own. Sam did the chop on Hirohata's '51 hardtop, and both it and Sam's '49 helped make the '49-'51 Mercury the quintessential custom. 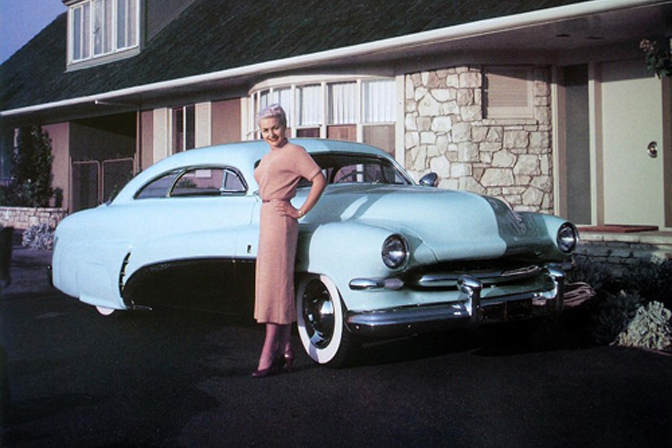 Sam's next project would be a 1950 Buick that took him nearly two years to finish. 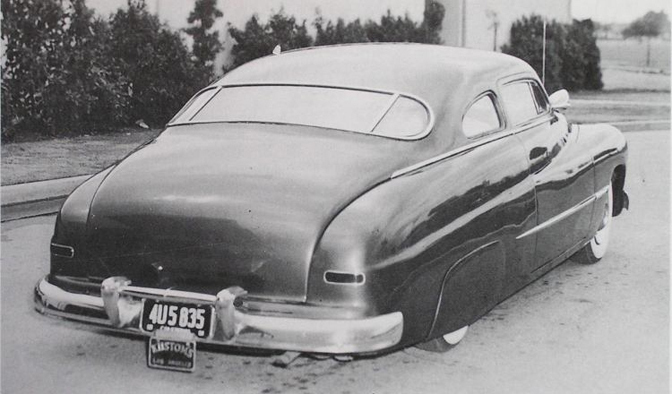 To give the fastback Buick a proper look, Sam sectioned the body to match the chop, and extended the rear fenders by four inches. With all the work put into the car, it looked more like an exotic production vehicle rather than a garage-built custom. In fact, a lot of these customs would get more attention than the factory concept cars of the day. 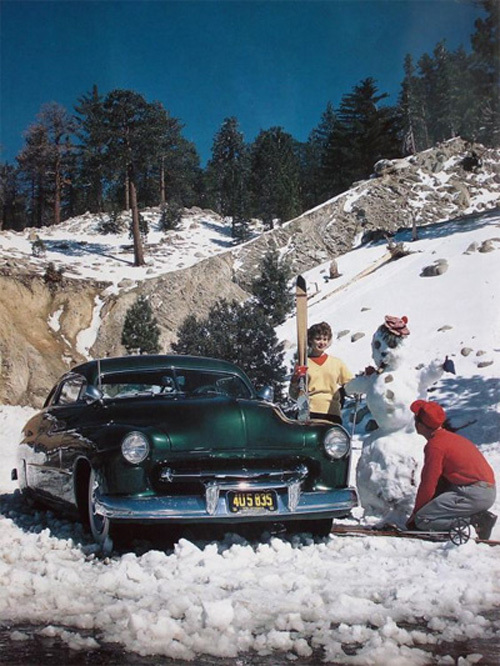 Following the Ford was another convertible, this one a '55 Chevy. 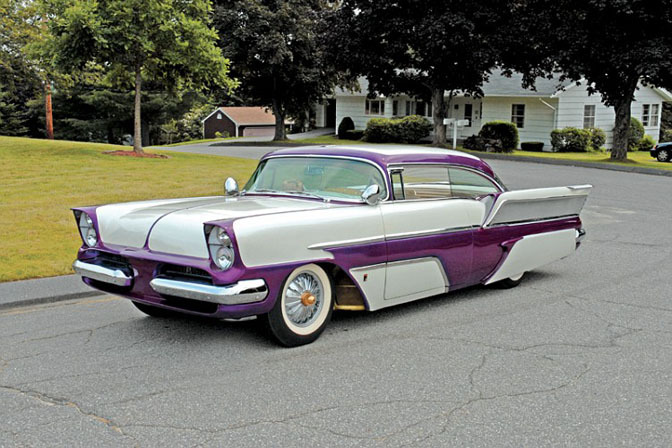 The '55 was never known as a big custom platform, but if anyone could make it work, it was Sam Barris. Sam would eventually grow tired of the fast-paced LA life. In the late '50s he moved back to Northern California, where he worked out of his own shop. 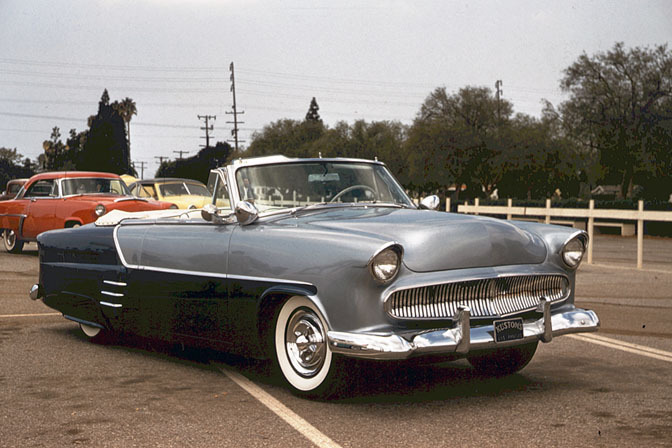 The last collaboration between and George and Sam was the "El Capitola" '57 Chevy, which debuted at the 1960 Sacramento Autorama. Sam Barris would go on to work as fire commisioner in Northern California before he sadly passed away from cancer in 1967. Sam's career as a customizer may have been short, his impact was as big as anyone. Rad. I'm feelin this. I didn't even know George had a brother... Maybe because I was born a decade after he died. I can't believe how clean/ gangster his early cars were! If that second photo is indeed Sam and (his brother I guess)... it looks like its after the war ceretanly judging by the car in the photo... and he looks pretty young.... so Im asuming that Sam and his brother started working on that '25 Buick as kids then? Great post, I agree, I didn't even know George had a brother. It's sad he passed away so young. He definitely set some ground breaking trends that are still used today. Sam was an execellent builder, George is more of a promoter than a builder. I got to see the Hirohata and Sam Barris Merc at the Sacramento Autorama last year. Nice your comment.Keep rolling on post. Purely mo own opinion, but I think Sam was the true talent of the name Barris. George appears to have credited himself as creator to many vehicles he had no hand in. Slap-on a "Barris Kustoms" sticker, and claim it as mine.. This article was before I started following SH daily but damn! This is a really cool and interesting article! I'd love more of these articles! 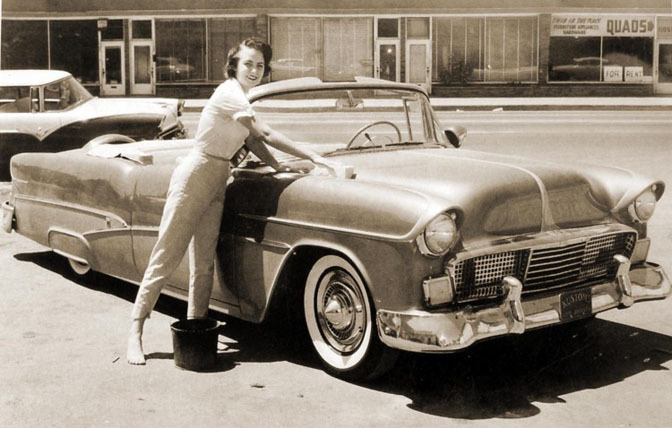 SAM BARRIS,WAS THE FIRST AND THE BEST,HE BUILT CAR'S INTO CUSTOM'S,THAT NO ONE EVER DREAMED OF IN THE FIFTIE'S.HE PASSED AWAY MUCHTO YOUNG,A SHAME,ONE OF THE FIRST TO CHOP A BATHTUB MERC,DID HIS OWN,THEN DID THE FAMOUS HIROHITA MERC. THIS MAN HAD GOLDEN HAND'S AND I THINK HE MADE GEORGE BARRISFROM THE EARLY FIFTIE'S!R.I.P.DAM,YOU WERE THE GREATEST!